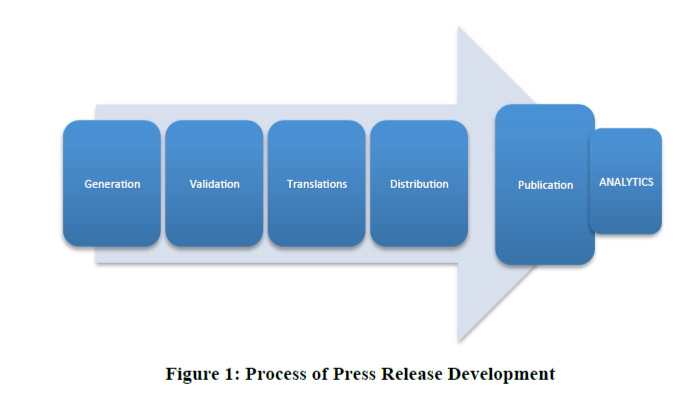 This document describes the strategy related to project press releases and provides the first press release associated with project kickoff as the first example. This first press release was published prior to the first workshop in Venice on 17 October, 2014 and as such served also as public announcement and simultaneous call for attendance. A second press release has been generated dedicated to the Venice Workshop. It is the project’s strategy to develop quality media contacts along the project’s length such that journalists can follow the project and attain synergy for dedicated coverage when appropriate. As such, with our first press releases we are paying attention at how we release it, how we can generate a media contact list, and how we can attain synergy across multiple venues. This has begun with this first effort by contacting cordis commission services for advice on content generation and release venues, by soliciting partner media contacts and by investigating the possibility to use a professional distribution agent such as media release and website. The Dissemination Plan deliverable, delivered in November, 2014, will further present the approach and strategies at large for dissemination and communication activities to include press releases. Validation: Once drafted, the PR is validated by R2M, the dissemination WPL and Project Coordinator. Translation: Consortium languages are English, French and Italian. If the project finds an end user outside of these languages, translation can be accommodated. Publication: After distribution we can publish on venues we control (our webpages) and then check venues we do not control (media contacts). When possible, success involves following up to see where items were published, with what impact, and where we can build upon success. Figure 1 is a graphic depiction of the development process, and is repeated for each project milestone. with translations across the three consortium languages. Overall, MAS2TERING will make press releases an active part of the project dissemination and communication strategy.